6.8.2013. Today was a breather. We got here! 2500 miles from home. All systems still intact. All passengers in the road capsule still smiling. We decided to tackle Glacier National Park the easy way -- by booking a Lake MacDonald tour for tomorrow morning and a Red Bus tour for tomorrow afternoon. We've absorbed enough of the local travel propaganda to decide our next stay will be a couple nights in Missoula, then a couple more in Great Falls. We have shifted our heads from the pure romance of the open road to some town activities like museums and art galleries. After that... return to the road. 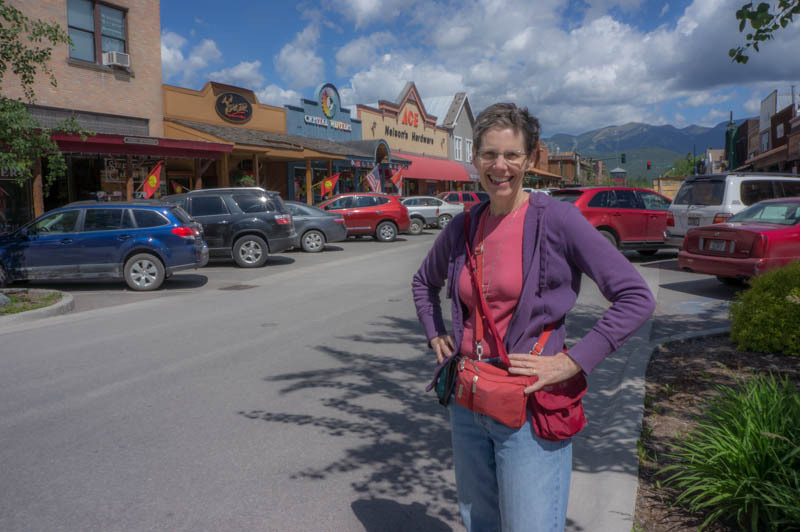 This afternoon we spent time walking the artsy couple of blocks in the town of Whitefish -- wonderful little shops with well-crafted stuff and a minimum of tacky t-shirt shops (photo above). I decided to upgrade my Target t-shirt wardrobe with a couple of colorful neo-hippie concoctions. 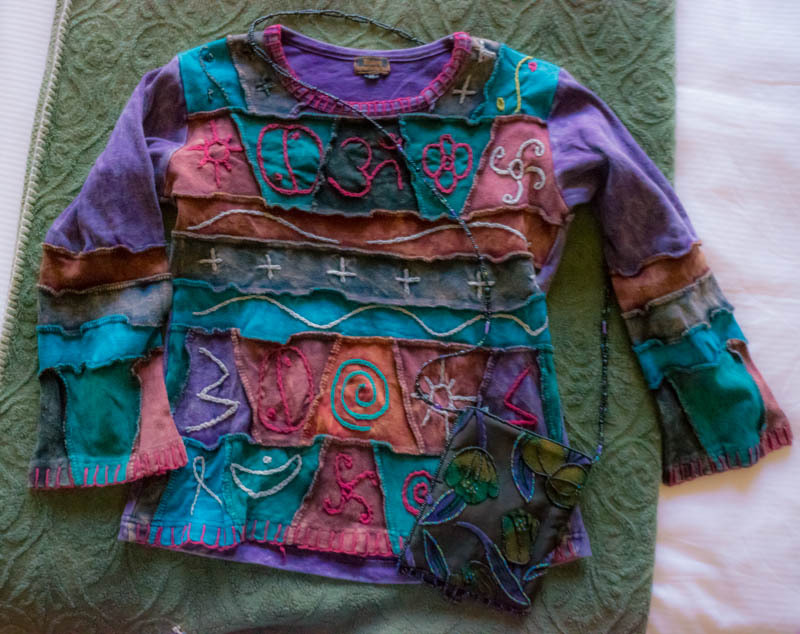 Wish I could say they were from the local artisans but (and probably the reason why I could afford them) they were from Nepal. (See below.) I think the little "cell phone purse" was made locally. Enough with shopping and with my growing obsession for making hotel reservations. 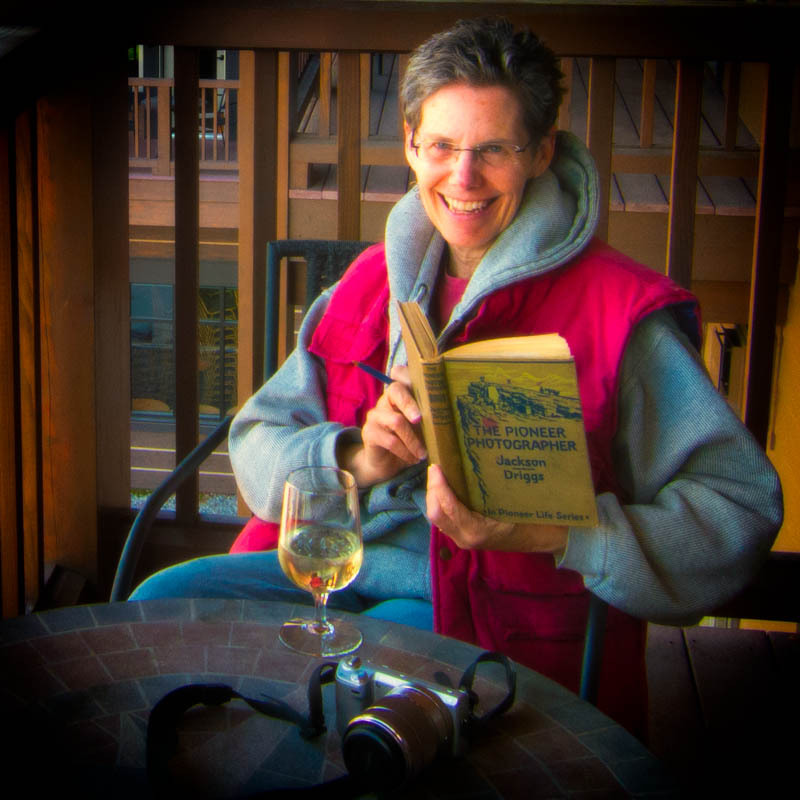 Out to the porch to read. 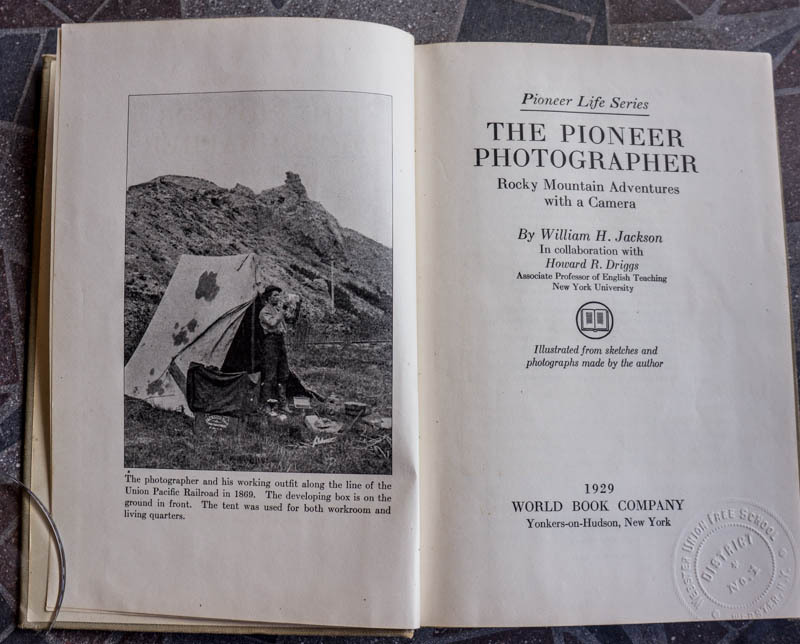 I brought an actual hard-cover book: "The Pioneer Photographer: Rocky Mountain Adventures with a Camera" by William Henry Jackson, 1929 (deaccessioned from the Webster NY library). I meant to get into Native American history/culture on this trip, but I have to confess unadulterated admiration for Euro-American pioneers and their bold Christian visions to Figure Things Out and undertake Grand Endeavors. Native Americans were integrated into their ecosystems; Euro-Americans imposed themselves upon it. The long-term unintended consequences were tragic (for the Indians), largely disastrous for the ecosystems, and somewhat embarrassing to liberal-minded moderns. But still... in the moment... 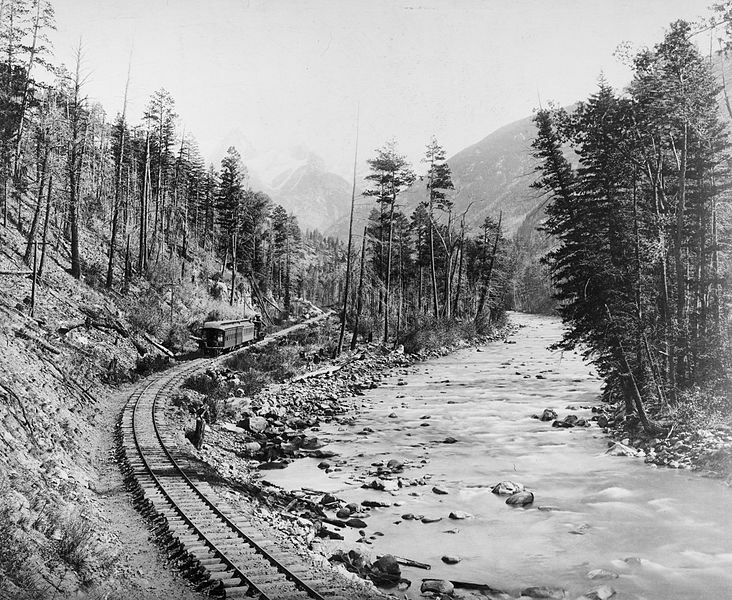 I suspend all judgement: cattle drives, grain elevators, riverboats, transcontinental railway, telegraph systems... not to mention the brilliant surveyors, engineers, and photographers... I stand in wonder at their energy and their knowhow.